By Sigora | April 1, 2018 May 17, 2018 | Comments are off for this post. This article was originally published in the April issue of POWER Magazine. As another hurricane season approaches, the lessons learned by energy companies that have repaired power infrastructure in Haiti, Puerto Rico, and other areas provide a path forward for reducing the impact of future major storms. 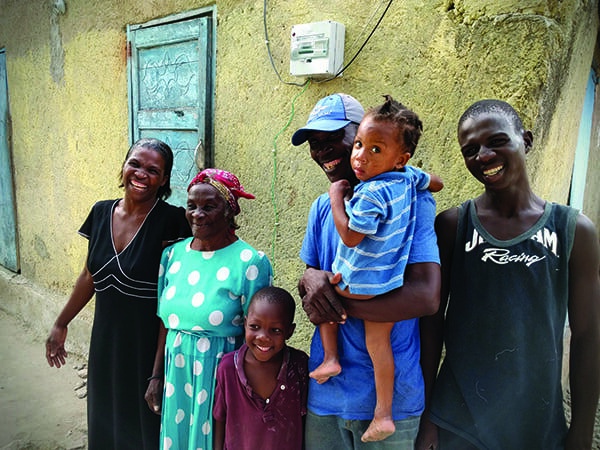 The devastating hurricanes that roared through the Caribbean in 2017 left millions of people in the dark, and highlighted the challenge of establishing a reliable and resilient electric grid in remote and poverty-stricken areas. The one-two punch of hurricanes Irma and Maria pummeled Puerto Rico, Haiti, Cuba, Dominica, the U.S. Virgin Islands, and the British Virgin Islands, along with other regions, leaving many areas uninhabitable, and cities and towns without power for days, weeks, and months. The 2018 hurricane season begins on June 1. But the memory of last year’s destruction is not very distant, and as monster storms seemingly become more common, work to heal the still-fresh wounds of a few months ago continues in earnest, along with preparations for what may be to come. To that end, power industry experts are designing and building new electricity infrastructure across the region, in an effort to make the grid stronger, more reliable, and less vulnerable to future hurricanes and tropical storms. Workers from several U.S. utility companies are in the Caribbean, removing debris, installing power poles and generators, and stringing transmission lines. Hundreds of utility workers arrived in Puerto Rico in late January. Companies have continued to cycle teams to and from the island, where about 15% of the country remained without power more than five months after Maria made landfall on September 20, 2017, knocking out electricity to the entire island and its 3.4 million residents. Irma hit Puerto Rico two weeks earlier, leaving more than 1 million residents without electricity, and thousands of those were still without power when Maria came onshore. The U.S. Army Corps of Engineers has said some areas of the country likely will not see power restored until late May (see sidebar). But recovery from last year’s storms also is being done with an eye toward the future, with power companies working on ways to lessen the impacts of future catastrophic weather events, and bring reliable, affordable power to the developing world. “Energy resilience is much broader than safeguarding assets and operations,” said Frank Bergh, vice president of grid engineering for Sigora, a U.S. company working in areas that traditionally have been underserved and isolated from major power transmission. The company in 2016 received widespread acclaim for helping Haiti recover after Hurricane Matthew and continues to develop projects in small nations with emerging energy markets. 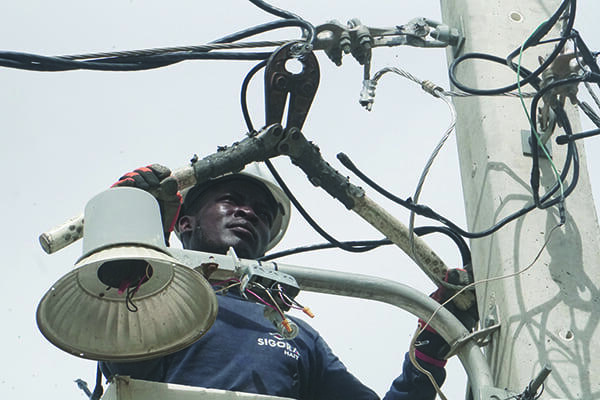 Part of the blueprint for restoring and rebuilding the power grid in Puerto Rico and elsewhere in the Caribbean after the 2017 storms was designed by Sigora, with its work in Haiti after Hurricane Matthew in 2016. The Category 4 storm hit the island nation on October 4, 2016. The combination of wind and rain brought flooding and landslides, and left hundreds dead; some estimates put the death toll at more than 1,000. It also left many of the country’s nearly 11 million residents without power. Jean-Pierre “JP” Vertil, development and deployment engineer for Sigora, is a native of Haiti. He is in the middle of the company’s operations there and knows well the challenges any power generator faces in the rural areas of the Caribbean. “Working in rural Haiti is no doubt challenging,” he told POWER. “There is the issue of basic logistics. It takes about nine hours to drive from the capital [Port-au-Prince] to our project site, half of which is on unpaved dirt tracks. To bring in large equipment like turbines, we are going to have to transport them on barges via the bay. “Then there are the unexpected events. The other day we experienced flash flooding that wiped out the only road between Jean Rabel and Möle-Saint-Nicolas,” Vertil said. “But you have to keep going and find workarounds that allow you to keep on schedule. For example, in advance of Hurricane Irma last year, our team took the decision to remove all the solar panels from the array [Figure 3] in order to prevent damage that could take weeks to repair after the fact. Getting new solar panels to Möle is not a two-day affair. 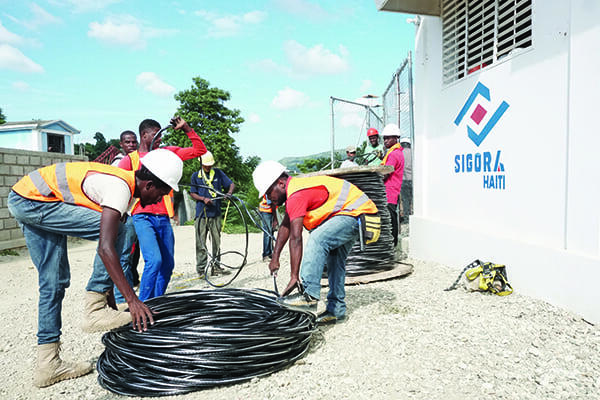 Some of the lessons Sigora learned from its 2016 work in Haiti are being incorporated into its technology in that nation today, where the company operates three microgrids in the northwest part of the country. “In terms of our technology, it is commonly accepted that decentralized infrastructure is more resilient, but how can we make it more robust?” Bergh asked. “How can we integrate lessons learned from the field into our product offering so that it can better meet the needs of frontier utilities elsewhere? “An example of this is the application of key elements of [Sigora’s] technology to disaster-recovery situations,” Bergh said. “Distributed computing power provides more situational awareness, which is incredibly valuable in post-disaster contexts, particularly in low-connectivity environments. Unlike a typical utility where you might have a computer at every substation, [today] we know from house to house what is happening because every meter has its own onboard computer and its GIS coordinates are logged in the system. The devastation from Irma, followed by the destruction caused by Maria, has provided an opportunity for power generators to study grid reliability and resilience from an infrastructure standpoint. It’s not about whether a facility has a supply of fuel on hand, but whether power can be generated and transmitted where no traditional grid exists. Bergh outlined several challenges companies face when building and operating systems in these regions. Bergh said his company’s past experiences have helped in the evolution and product development for those regions. “Frontier-market utilities, whether established urban grid utilities or rural microgrid developers, face common challenges,” he said, including “poor revenue collection, energy theft, high capital and operational expenditures, and restriction to a single regulated revenue stream.” He noted a World Bank study that showed only about half the power generated in sub-Saharan Africa was actually paid for, due to low rates of power that were actually billed and low levels of collection. Bergh also noted, “Inadequate cost recovery is a systemic and endemic feature of the electricity sector in most developing countries. In sub-Saharan Africa for example, nearly 65% of countries have tariffs below cost recovery. In other words, revenue for utilities is artificially capped because of government-regulated tariffs. 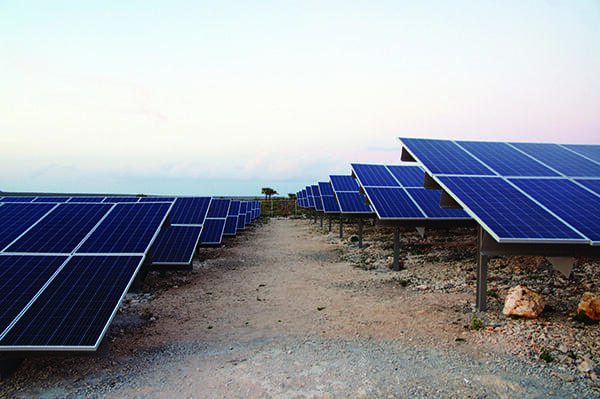 It was in the process of developing the first microgrid in Haiti that Sigora realized the daunting task of sourcing appropriate technology to address these challenges, while juggling the specific technical requirements of a grid that would service primarily smaller residential consumers drawing just 200 watts of power, but also serving larger customers with peak loads exceeding 45 kW, at a price point that would make the unit economics of such a system feasible. The experience led to the company developing a meter in-house, which evolved into a separate company, Sigora International. Sigora International offers vertically integrated energy payments, content, and a control platform capable of transforming energy access for underserved markets into a bankable business. Its platform streamlines bill collection, reduces revenue losses, identifies and helps prevent energy theft, and increases operational efficiency for energy providers operating in emerging markets. It’s being offered as what Bergh called the “operating system” for micro-utility business models. “The future of microgrid technology will be defined in terms of adequacy and financeability,” Bergh said. In terms of adequacy, “Does the power delivered to customers make them more powerful? Reliability is one factor; the trust that the grid will be available when [customers] need it. And it’s also that the grid will offer affordable power for productive uses [that spur] local economic development.